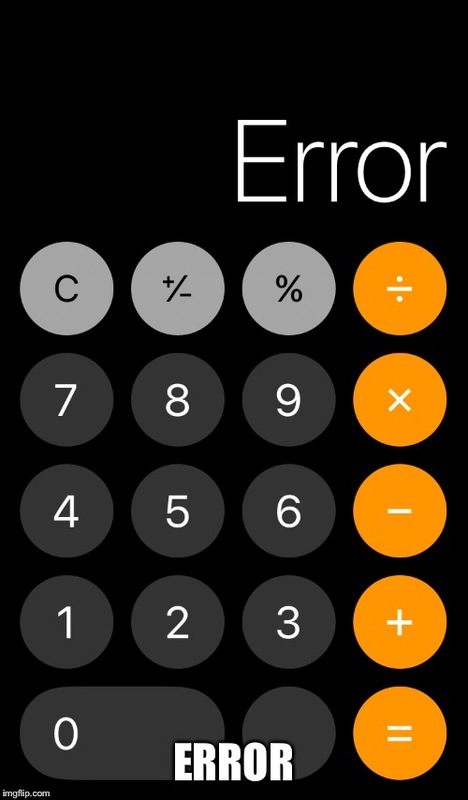 I Never Learned This In Algebra! For example, 2 squared is 4. 2 cubed, 8, 2 times 2 times 2. 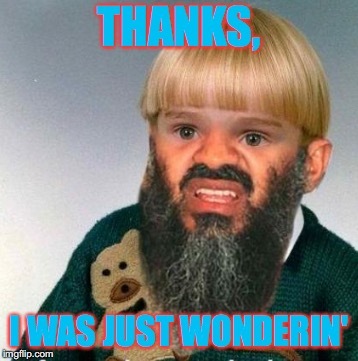 2 to the 4th, 16, 2 times 2 times 2 times 2. 2 to the first, 2 divided by 2. 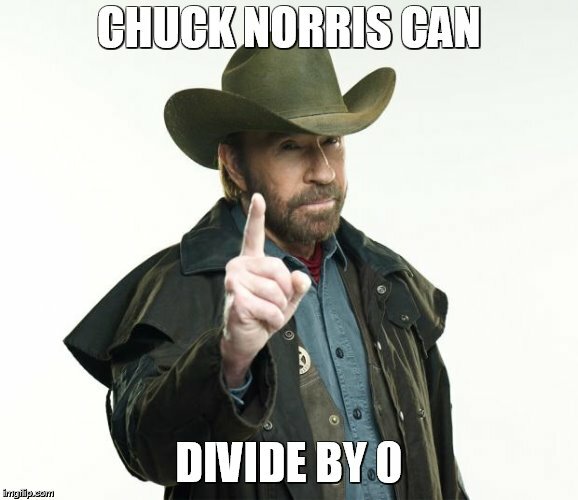 It starts going backwards with division. 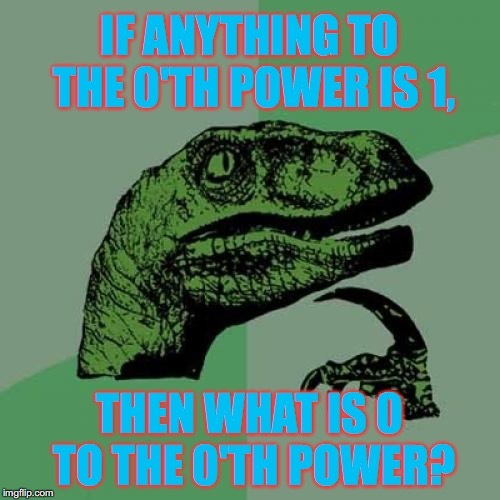 IF ANYTHING TO THE 0'TH POWER IS 1, THEN WHAT IS 0 TO THE 0'TH POWER?